Without doubt some of the most beautiful yachts ever built were the racing yachts of the 1930s. 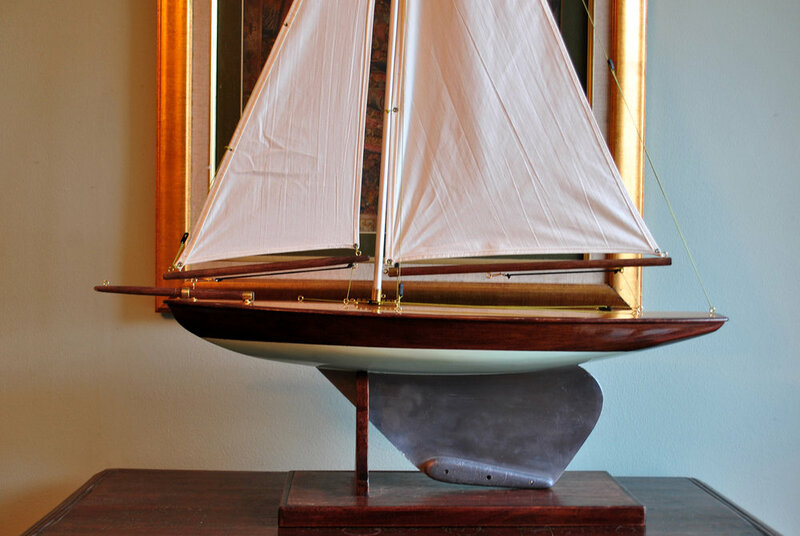 Their sleek hulls built purely for speed were the greyhounds of the yachting world. 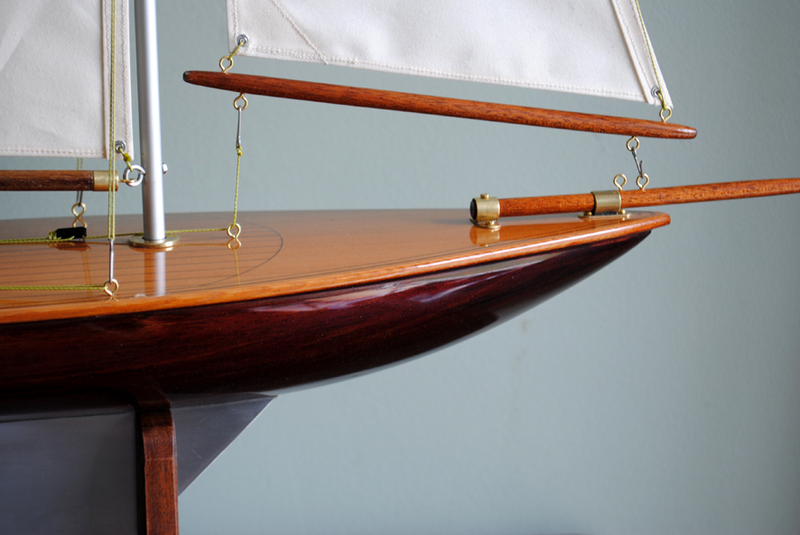 Fine vintage pond yachts from the same period also shared the same purity of design, the combination of wood, brass and canvas create one of the most beautiful art forms known to man. It is from these racing craft that we based the G22. With a hull length of 22in, she is large enough to have similar sailing characteristics to a full sized yacht, yet small enough to be transported fully rigged. On display she makes an undeniable impression when you enter the room. 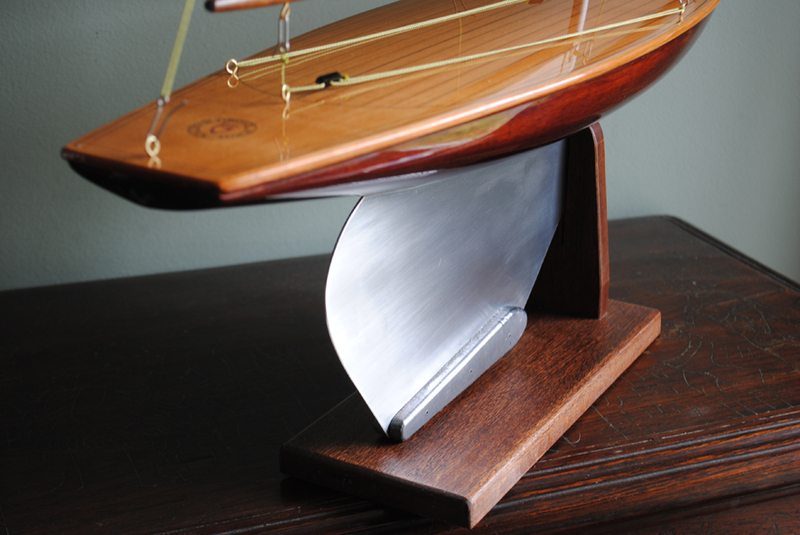 Her hollow hull is hand carved and is fitted with an aluminum fin and lead ballast. 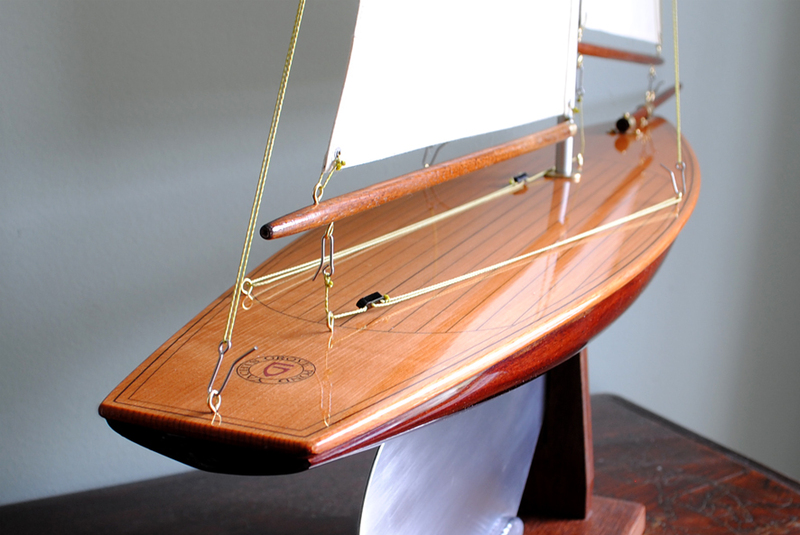 Hulls are stained darker to give a subtle contrast with the solid Red Cedar deck and fitted with brass fittings. 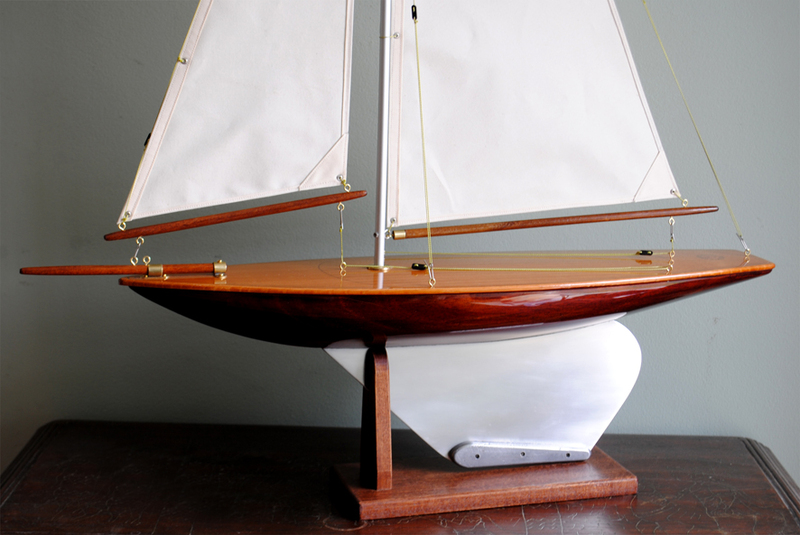 The mast is 6mm diameter aluminum tubing for stiffness with a traditional wooden topmast and cambric cotton sails. The jib is fitted with a jib club for improve air flow and both the Jib and main sails are fully adjustable. 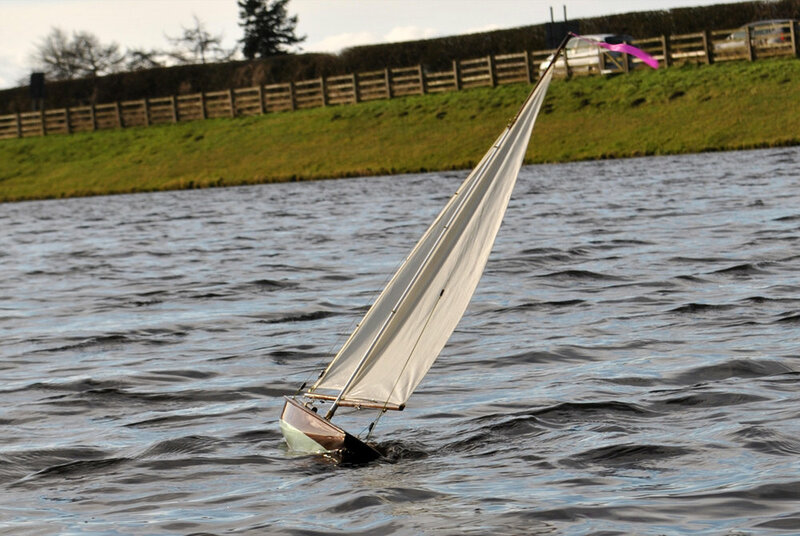 The perfect vintage Pond Yacht, hand crafted in our workshops on the banks of the river Tyne, England. If we do not have a G22 in stock we will make to order.